An inter-faith group has identified problems that need coordinated response from different churches to address humanitarian crisis in the southern Philippines. 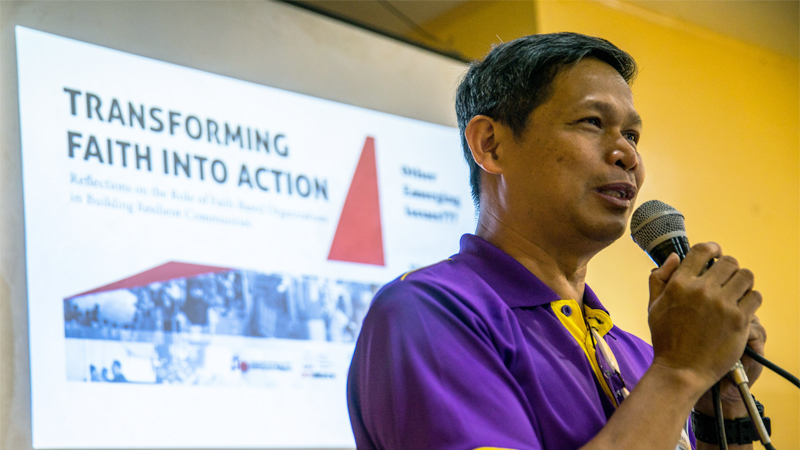 The Philippine FBO Forum (FBO PH), a network of faith-based organizations in the country, gathered local church groups in Mindanao to frame a system of united response to emergencies and disasters. 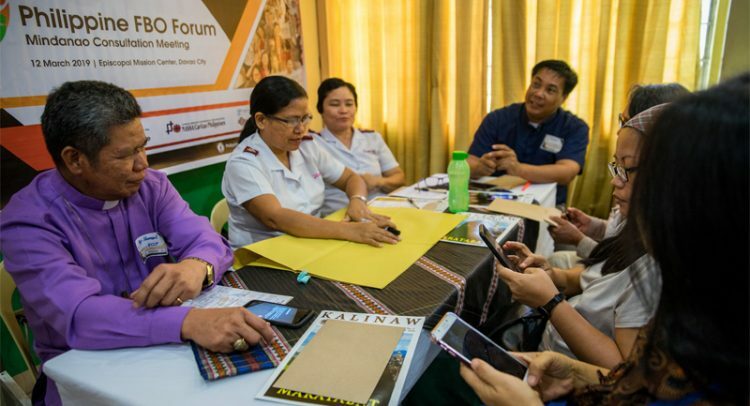 The conference that was held in Davao City on March 12 highlighted several “emerging issues” that require attention to prevent further humanitarian crisis. Priority issues identified in Mindanao include “exacerbated militarization due to martial law” and the “rise of violent extremism.” The group also stressed the need to address environmental concerns such as the effects of mining and drought to poor peasant and tribal communities. Father Edwin Gariguez, one of the convenors of the group, said armed conflict and environmental devastation cause massive displacement to Mindanao communities. In March 11, some 16,000 people have fled their villages after an armed encounter between government forces and local terror group in Maguindanao. Brother Rey Barnido, executive director of Duyog Marawi, said it has been tried and tested that collaboration among churches and religions in Mindanao “helped a lot in responding to the needs of disaster-stricken communities.” Barnido cited the interventions to some 500,000 individuals who have been displaced after a local terror group tried to occupy Marawi City in May 2017. “Christians and Muslims came together to give aid relief and provide development work to victims of displacement. We can replicate that experience,” he said. Father Gariguez said they are aiming to “localize humanitarian aid response and recognize the capability of our local churches to respond to any crisis.” He stressed that Christian Churches have formations from the top to the grassroots level that could facilitate interventions. The priest said local churches in Mindanao are grounded and established even in the most remote places and knowledgeable of the particular conditions. “Whether it is a natural or human-induced disaster, churches can respond because they are part of the community and they are attached to a larger religious conference that could provide training and equipment,” he added. Gariguez, who heads the Caritas Philippines, also stressed the importance of working together among church groups and explore areas for collaborations. “Our response to any crisis is stronger if all faith-based humanitarian aid provider would come together and plan a systematic intervention to affected communities,” he added. 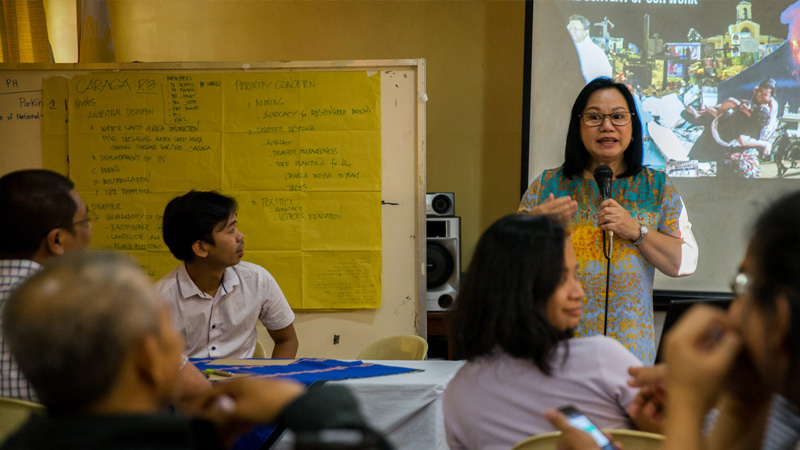 NCCP acting secretary general Minnie Anne Mata-Calub said they aim to establish structures, mechanisms, and programs in the local churches through a consultative approach. “This would allow different church organizations to collaborate and work in accord before, during, and after human-induced disasters or natural calamities,” she said. Calub added that the objective of the FBO PH includes sharing of information, resources, and exchange of best practices in humanitarian response and risk reduction. Rev. Stephen Gualberto of the Evangelical Church has stressed the need to strengthen the capacity of local church organizations in Mindanao and other regions. “In order to strengthen local humanitarian units, first we must recognize their capacity to carry on the duties and their mastery of the local situation,” he said. 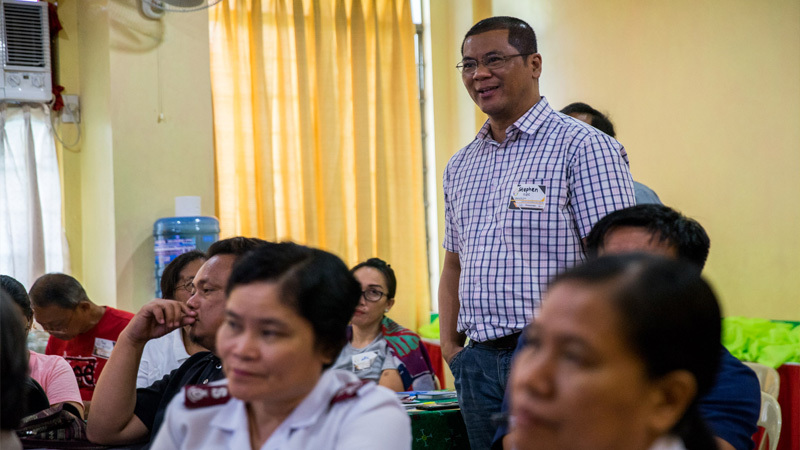 Gualberto also expressed Church institutions must train and equip local faith-based organizations to enhance their skills and knowledge, and at the same time improve local coordination as they become first responders to any emergency. The network is headed by the three largest religious institutions such as the Catholic Bishops’ Conference of the Philippines (CBCP), National Council of Churches in the Philippines (NCCP), and the Philippine Council of Evangelical Churches (PCEC).